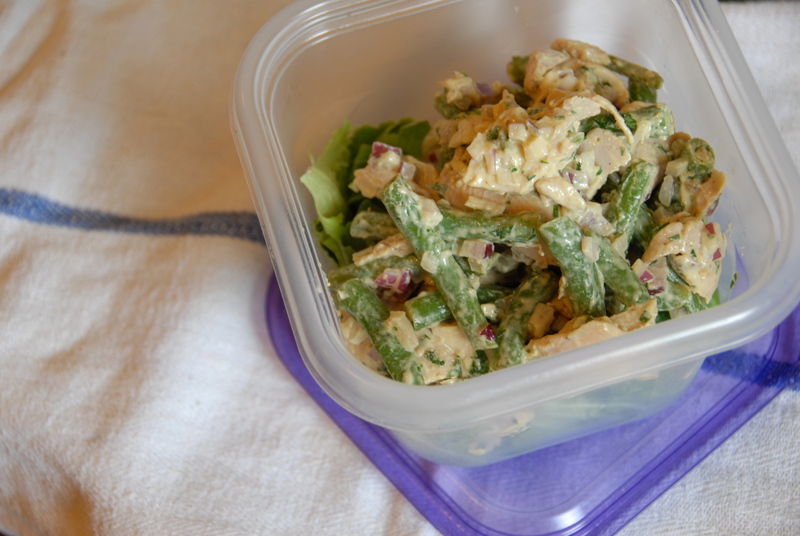 There are certain summer staples – suntans, cold beers on a hot night, grilling out …chicken salad. Dijon gives this summer classic a tangy bite and the green beans lend a healthy crunch – a welcomed face lift for an old stand by. Preheat the oven to 350 degrees. 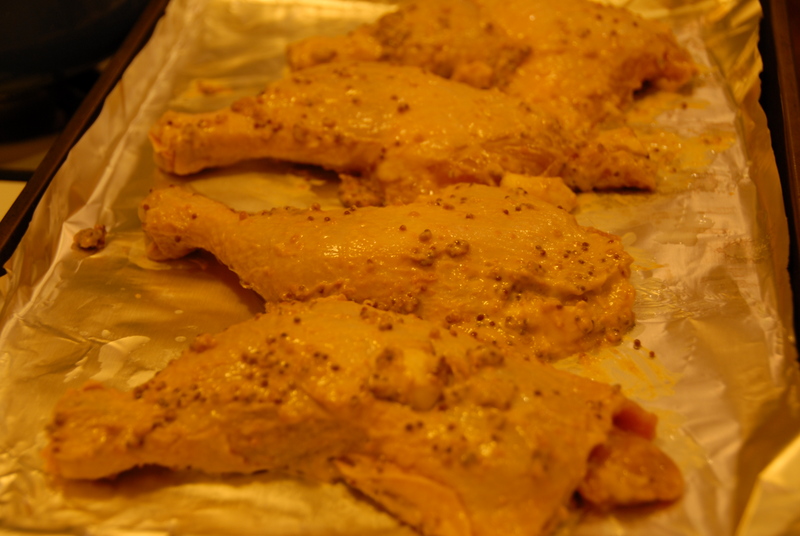 Let the chicken sit in the marinade for 30 minutes and then bake for 35-40 minutes. Once cooked, allow to cool. Blanche the green beans in boiling salted water (shocking them in ice water just after!) and dice the red onion. Place in a bowl. 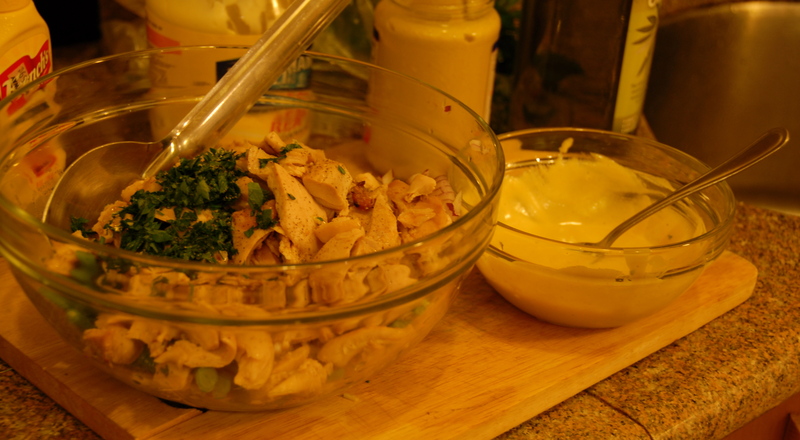 Prepare the dressing: join the mayo, mustards, garlic, salt, and pepper in a bowl and whisk in the olive oil. Once the chicken is cool enough to handle discard the skin, shred the meat and place in the bowl with the green beans and onion. Finely chop the parsley and place in the bowl as well. Mix well to combine. If you’re looking for a variation – tarragon or rosemary might be a nice addition or substitution for the parsley! Take it along to barbeques all season long or pack it for a bus ride to see an old friend like I did (hence the tupperware). Either way, enjoy! This entry was posted in Condiments and tagged chicken salad, Dijon, green beans, mustard, parsley, red onion, summer. Bookmark the permalink.